The Rainbow Princess is searching her colourful castle to find her lost kittens before the royal party begins! As she moves from room to room, will she be able to find them? Lift up the flaps to help out! 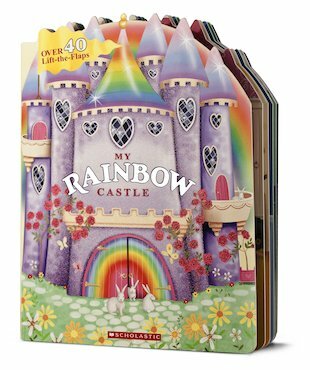 With over 40 exciting flaps to lift, this rainbow-bright, glitter-filled, castle-shaped board book is perfect for every little princess.